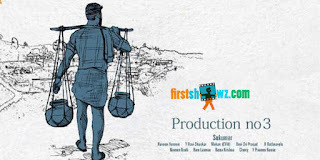 Mega Power Star Ram Charan’s movie in the direction of Sukumar which was launched earlier is set to commence its shooting schedules from 15th of March. Sukumar is all ready with the bound script and the pre-production works are almost done. Ram Charan is pairing up with Samantha in this village backdrop love story to be packaged with commercial aspects. The shooting schedules will take place in Pollachi, Kerala and Godavari regions of Andhra. The untitled film is produced by Mythri Movie Makers and Devi Sri Prasad is zeroed in to provide the soundtrack for the film. Stay glued to this space for more updates.